CoreCivic Properties makes company and industry history through innovative real estate solutions. There has been a great deal of activity within CoreCivic Properties over the past year. From our company’s first-of-its-kind “rent-and-operate” agreement with the state of Kansas, to our continued expansion into residential reentry property, and our first major purchase of four non-correctional facilities, there is a lot to be excited about. To understand where this activity is coming from and why this is a promising growth area for our company, it’s important to know what our government partners are telling us. Across the country, public officials at every level of government are being asked to do more with less, and they have dozens of competing priorities, such as education, highways, and safety, to name a few. Maintenance costs for government buildings are often the most logical, short-term sacrifice to make those other priorities happen. “As a consequence, many government buildings are no longer in good enough shape to serve the community’s needs,” said Erik Rasmussen, CoreCivic managing director of Strategic Development. An example of this – and one which the CoreCivic Properties team is particularly proud of – is Lansing Correctional Facility in Kansas. Built in the 1860s, shortly after Kansas itself became a state, the Lansing facility finally reached a stage that made it impossible to implement 21st-century safety or operational best practices and technologies. Our government partners faced a challenge: With public safety and security concerns in mind, was it time to build a new facility? CoreCivic Properties offered a different solution that could supply Kansas with a modern, state-of-the-art facility while having a neutral effect on the state budget. The state chose CoreCivic, backed by 35 years of design and construction experience, to build its first “rent-and-operate” private correctional facility through a 20-year lease agreement. CoreCivic will serve the role of a traditional landlord, providing only maintenance and care for the property, while the state operates it. The state also benefits financially from a fixed, lower lease rate, due to CoreCivic’s strong financial position. This means the facility’s construction costs will be paid in full by the end of the 20-year lease. “This project is an example of how CoreCivic is broadening our service offerings to meet the diverse needs of our government partners,” Mayberry said. “The lease-only option, and our competitive financing, enables us to offer a variety of solutions that we can tailor to their specific needs. The 2,432-bed, 400,544 square-foot correctional facility will also be located in Lansing, and construction is scheduled to finish in the first quarter of 2020. The challenges facing our government partners in Kansas are not unique to that state, or even to correctional systems. Across the board, governments are operating facilities that are considerably outdated, with little flexibility for long-lasting solutions due to budget constraints. That’s why CoreCivic Properties is growing into both correctional and non-correctional spaces. In 2017, CoreCivic Properties acquired four lease-only properties, including Augusta Transitional Center (ATC), a community corrections facility leased to and operated by the Georgia Department of Corrections in Augusta, Georgia. This real estate transaction also included the purchase of three non-correctional buildings – a first for our company. Two are leased to the Social Security Administration and another is leased to the Internal Revenue Service. These properties are located in Georgia and North Carolina. Building upon this success, CoreCivic Properties recently purchased another large-scale, non-correctional, government-leased real estate asset: Capital Commerce Center. 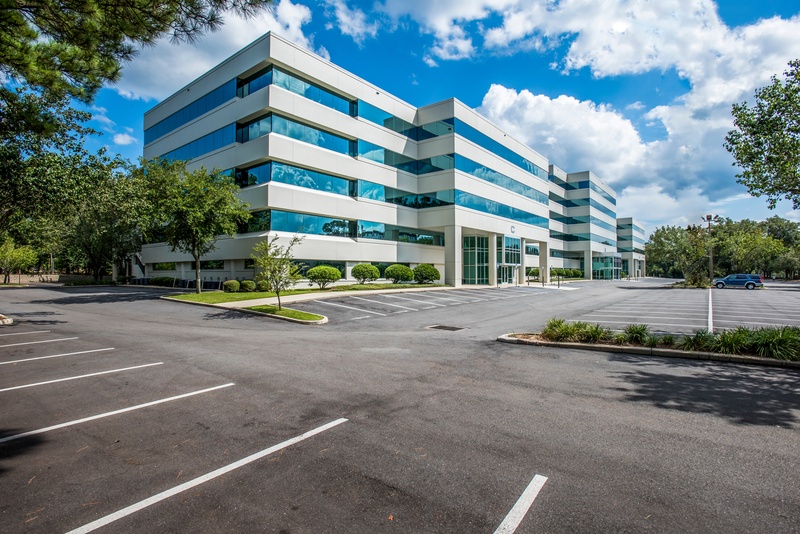 Located in Tallahassee, Florida, it's a 260,867 square-foot office building currently in use by the State of Florida. With the addition of Capital Commerce Center in January, CoreCivic Properties now owns a total of 13 leased properties, representing over 1.4 million square feet of real estate. Growing the CoreCivic Properties business offering is an ambitious but logical undertaking for a company that has successfully built and managed government real estate within the corrections industry for 35 years. While we may have been primarily known for our high-quality corrections and detention management, our company also built and expanded more than 55 correctional facilities in that time, offering a shorter construction schedule and lower cost than our government counterparts. That expertise, and our 35 years of experience as a reliable government partner, will help grow the CoreCivic Properties business offering. "Our management team has positioned us favorably," Rasmussen said. "So now, we not only have the knowledge and expertise to address government infrastructure needs, but we also have the financial resources." While CoreCivic will continue to seek opportunities that expand the Safety and Community business offerings, serving as a “landlord” brings exciting, new opportunities for company growth and stability.